Fearne Cotton’s infectious and loving personality pours out of her podcasts and television appearances as she roams around Great Britain and the world, finding stories to tell and people to talk to. 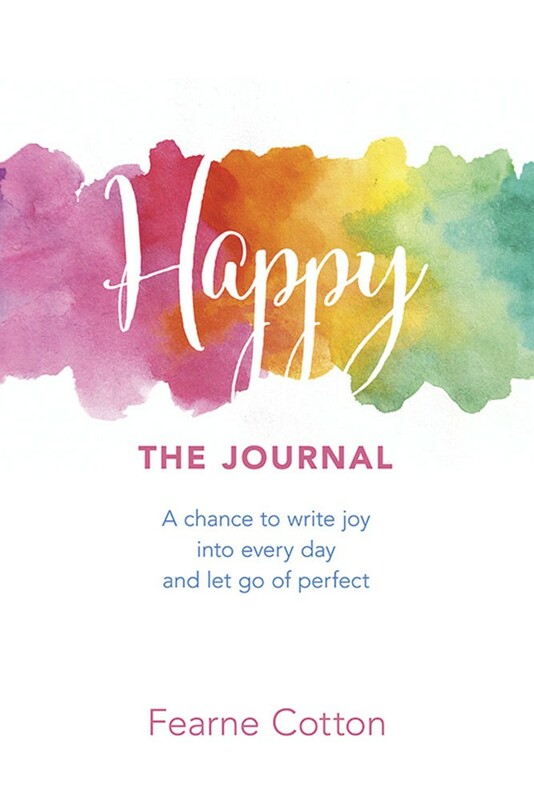 Her latest project spreads that happiness in a very personal way to every individual, by offering a journal that will give you just the nudge you need to create your own happy place. Happy: The Journal makes it easy to face the blank page. How many would-be journal writers have set out to create a record of daily life, only to be stymied by having no idea what to write? Ferne solves that problem by offering daily prompts and inspiration, intermingled with quotes to propel you forward. She’s the friend who makes sure that you don’t have to face that blankness alone. “Never be afraid to start again,” declares a page in January, a good reminder that it’s OK to pick back up if your New Year’s resolutions are flagging. And if you’re fed-up with writing, Fearne has a solution for that as well: draw how you feel with an entry dedicated to doing just that! Each day ends also with a blank happy face so that you can do a quick spot-check on how your day went. A year’s worth of smiles, frowns, or “meh” faces will tell you something about your life. This journal is also based on Fearne’s book Happy, which describes her journey with depression and how she worked to take care of herself. It seems impossible when you watch her or listen to her speak since she is a person who is unrelentingly positive and successful. But even successful people can be hiding a secret depression — which is what happened to Fearne.